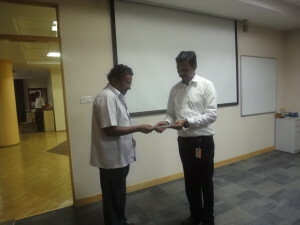 V. Saroja, w/o. 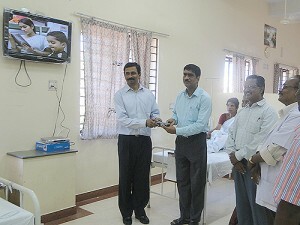 late Varadharaj, Puducherry, received aid on April 18, 2012. 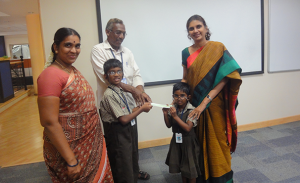 Saroja’s husband was a kidney patient died recently. She had a son & daughter and living in poor situation. To survive her basic livelihood needs like food, education etc. 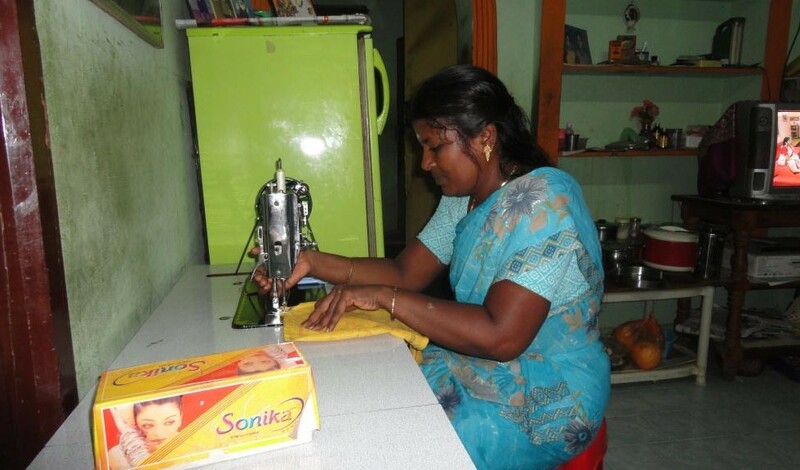 sewing machine provided to her for income generation on Social Rehabilitation aspect. In this picture Saroja receiving the sewing machine from Mrs. Anuradha Sriram, Trustee, Sriram Charitable Trust (CSR Arm of Integra Software Services Pvt. Ltd.).